The inception and widespread use of the Blockchain Technology has spread as far as the financial sector and due to this development, it has triggered the use of cryptocurrency into the banking and finance although it is still not widely accepted. Banks offer series of financial services such as loans, deposits and currency exchange. In the loan sector, borrowers experience issues/problems that cannot make them Fiat loans and in most cases the issue of Collateral seems to always be the issue. Collecting a loan in cash requires plenty of time and efforts such as considering the loan application, collecting extra documents, assessing the collateral, even with all these requirements sometimes the bank may end up not granting the borrower the loan as a result of incomplete credit history. Currently, creditors do not accept digital assets as collateral which makes it impossible to collect Fiat money against a security of Cryptocurrencies through current financial organizations, even private creditors do not consider the security and transparency of such transactions. Usually, when a borrower wants to get a loan from a financial institution (e.g bank), a form of valuable collateral is required it can be a house, security, vehicle, etc. But with the widespread use of blockchain and its cryptocurrencies, team eCoinomic.net aims to make cryptocurrencies as another form of collateral thereby it will no longer be mandatory for crypto holders to use their house, security or vehicle as collateral but that cryptocurrency can also be conveniently used. It is to this dilemna that the eCoinomic.net platform is designed for. eCOINOMIC.net is an Ethereum blockchain based platform created to close the gap between the current loan system and cryptocurrency. The idea behind this project is to make use of cryptocurrency as a new perspective type of collateral that will be able to change and make the loan market grow incredibly. 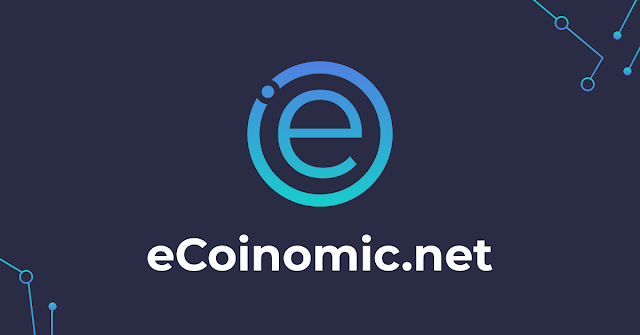 eCoinomic.net invents a world wide network that borrows Fiat money to individuals or small scale businesses using crypto assets as collateral. This platform will be capable of providing quick and easy lending services to borrowers since they have an ever ready cryptocurrency that they can use as collateral. eCOINOMIC.net will be able to provide scalable solutions for money lenders to the cryptocurrency owners, the platform will connect individual borrowers with institutional investors. Easy access to Fiat loans backed by cryptocurrency. Increased liquidity of the cryptocurrencies by attracting Fiat from financial institutions. It will bridge the gap between crypto and the current financial assets. eCOINOMIC.net platform is not only for individuals that wants to borrow, it will also bring financial organizations such as investment banks and small scale family businesses to it's platform. This new development will merge the crypto world and the banking sector and they will support the growth of each other and it's widespread use will bring an end to the risks involved in lending procedures because it will provide complete financial coverage of the loan. This is a smart contract Ethereum based utility token that will be used on the platform for it's maintenance and development. All service fees on the eCOINOMIC.net platform will be paid with the CNC token only. Accepted cryptocurrencies are: CNC, BTC, ETH, XRP, LTC, BCH, EOS, NEO, ETC, ADA, TRX, DASH and the Fiat currencies that will be available for loans are USD and EUR. But EUR, GBP, JPY, CHF, CNY will be added later.